An early foreign policy adviser to Donald Trump's presidential campaign pleaded guilty to making false statements and is cooperating with investigators, according to court documents released on Monday. During a January interview with the Federal Bureau of Investigation, George Papadopoulos falsely stated his relationship with a Russian professor he knew had "substantial connections to Russian government officials," the New York Times reports. The documents were released with the FBI's announcement it was indicting Trump's former campaign chairman and strategist Paul Manafort, and associate Rick Gates. 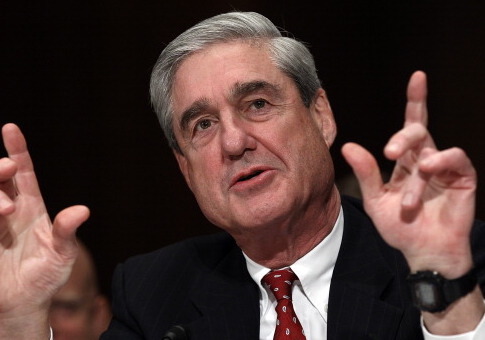 The indictment is a result of Special Counsel Bob Mueller’s probe into Russian election interference and accusations of collusion during the 2016 presidential election. Of the 12 counts in the indictment, Manafort is being accused of seven counts of failure to file reports of foreign financial accounts, conspiracy to launder money, and conspiracy against the United States, according to Axios. This is the first indictment to come out of Mueller’s Russia investigation, and does not directly link Manafort to collusion between the Trump campaign and Russia. The former aide was initially arrested in July, and pleaded guilty on Oct. 5 to making false statements in order to disguise his contacts with Russians whom he thought had "dirt" on Clinton, according to the court documents. Papadopoulos falsely told the FBI in January that his conversation with the Russian professor occurred before he became an adviser, when in fact they met only days after he joined the campaign. The professor purposefully took interest in Papadopoulos "because of his status with the campaign," the court documents indicated. Trump took to Twitter on Monday morning to give his point of view on the charges against Manafort. "Sorry, but this is years ago, before Paul Manafort was part of the Trump campaign," he wrote. "There is NO COLLUSION!" This entry was posted in Politics and tagged Donald Trump, Paul Manafort, Russia. Bookmark the permalink.